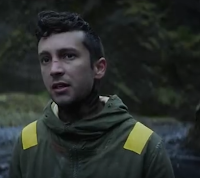 Today Twenty One Pilots released the 'Nico And The Niners' music video, which serves as a 2nd part of a 3 part story which began with the 'Jumpsuit' video which you can watch below. They'd been on a Twitter hiatus since July last year, and in the last few days had been teasing new music. 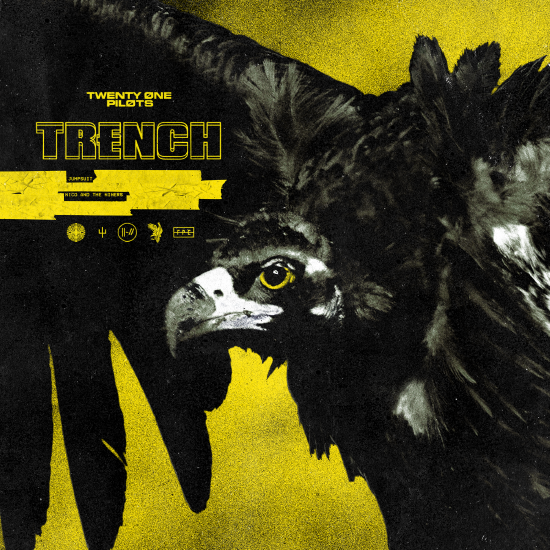 Some sleuthing from fans only upped the anticipation and speculation, which Twenty One Pilots have more than delivered on. That's right! Its been 3 years since the album Blurryface was released and their last single 'Heavy Dirty Soul' was released back in 2016, and today Twenty One Pilots unveiled the music video for their brand new single 'Jumpsuit'. It is an absolutely wonderful song with just as great a video, and they have also revealed they have a new album on the way. 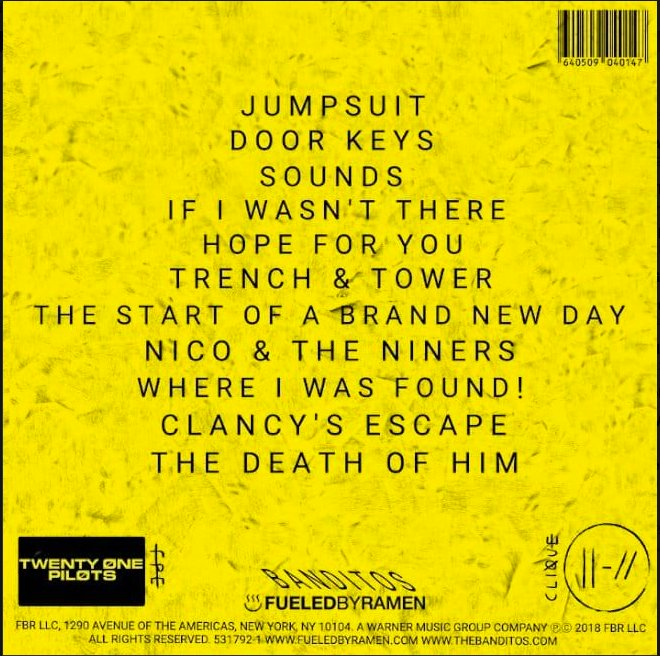 It's called "Trench" and will be released on 5th October and as if that wasn't enough, they've also announced tour dates which you'll find below along with the Nico And The Niners single and album artwork.